Kids Top Gun MA 1 Flight Jacket is an Ultra Force product and has reliable features of the MA-1 USAF. 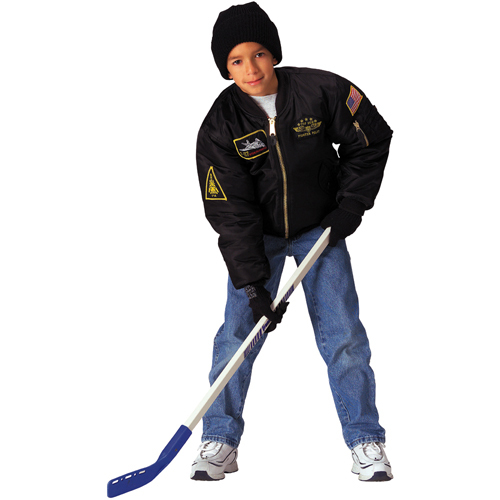 This jacket has a 100% nylon covering with poly fill padding for slight warmness. It has four snap-close pockets which are fixed two inside and two outside of the jacket. It has a reversible orange lining and has a zippered sleeve pocket as well. 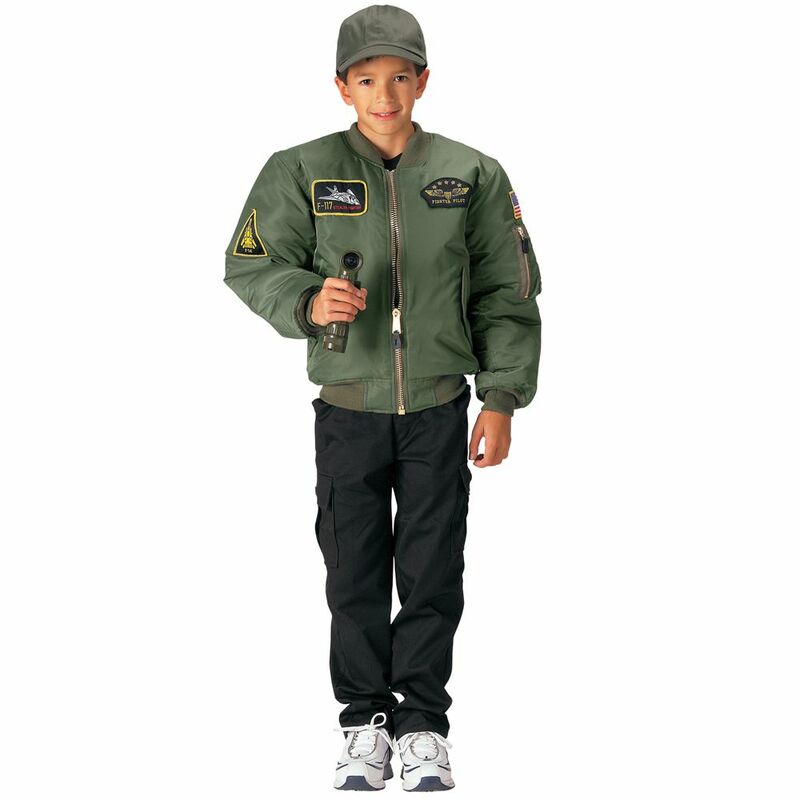 This jacket also has insignia patches on it to give it an authentic Air Force jacket look. The MA1 jacket comes in five different sizes and is an all season, comfortable wear. Buying one for your child will ensure that you protect him from the winter cold this season.